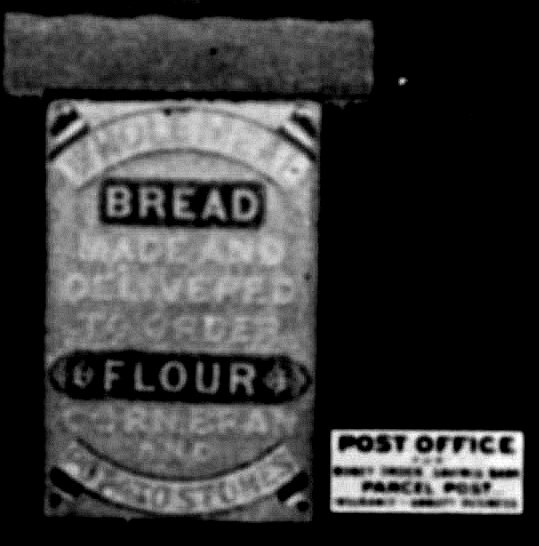 1886 – the bakery and house was auctioned by the Stroud Provident Building Society to clear the bankruptcy debts of William UNITT. 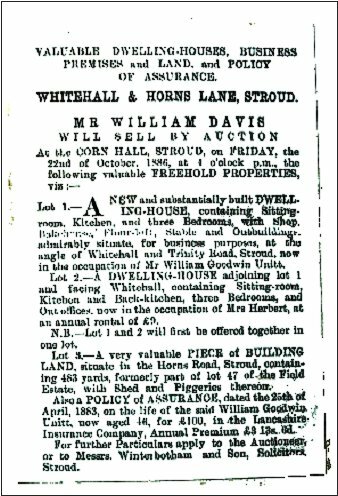 Lot 1: A new and substantially built DWELLINGHOUSE, containing Sitting room, Kitchen, and three Bedrooms, with Shop, Bakehouse, Flour loft, Stable and Outbuildings, admirably situate, for business purposes, at the angle of Whitehall and Trinity Road, Stroud, now in the occupations of Mr William Goodwin Unitt. Lot 2: A DWELLING-HOUSE adjoining lot 1 and facing Whitehall, containing Sitting-room, Kitchen and back-kitchen, three Bedrooms, and Out offices, now in the occupation of Mrs Herbert, at an annual rental of £9. 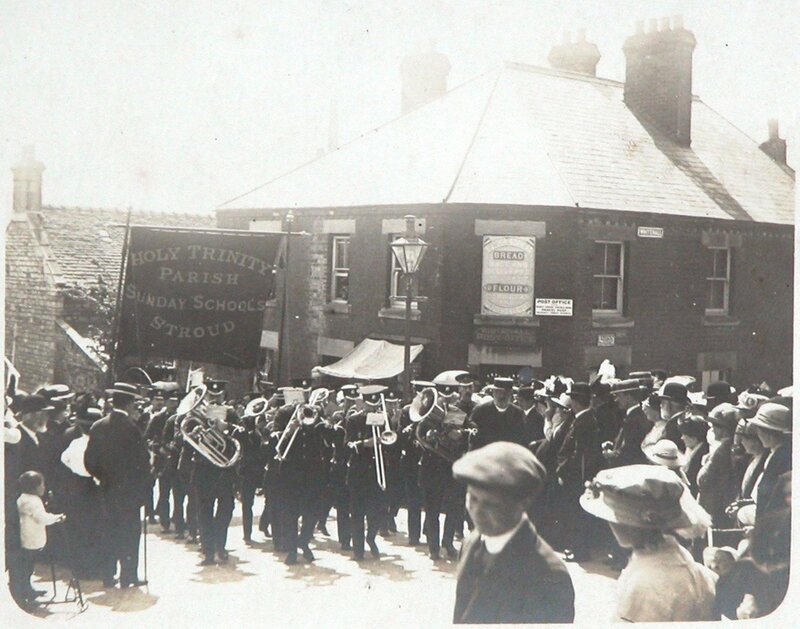 For further Particulars apply to the Auctioneer, or to Messrs Winterbotham and Son, Solicitors, Stroud.